Scroll through our extensive guide to drama lessons in New York, and find out which one best suits your needs and budget. Read detailed information about all types of drama classes in New York, and book a class today! One of the Most Well Known Drama Schools in NY! Since 1949, the Stella Adler Studio of Acting has trained thousands of actors, many of whom went on to become big theater and/or movie stars! All students are provided with the level of instruction that remains unparalleled in other parts of the country. In addition to actor training you can participate in all sorts of extra-curricular activities like poetry readings, guest lectures, jazz concerts, and classical music concerts. If you have a busy schedule, Stella Adler also offers part-time workshops. Programs range from introductory courses to advanced master classes for more experienced actors. Dedicated to educating actors from all walks of life, the Stella Adler Outreach Division focuses on providing free acting classes to low-income inner city teenagers. The Main Street Theater and Dance Alliance is one of the top performing arts training institutions in New York that has been coaching professional artists in theater and dance for more than twenty years. The passionate faculty of instructors at this school believes that people from all corners of the globe should be given an opportunity to partake in performance arts. As such, the school offers some of the most highly interactive and professional drama lessons in NY to people of all ages and walks of life. So sign up for classes at the Main Street Theater and get to perfect your acting skills in a diverse community and with help from experienced instructors. World Class Acting At Actors Connection! A place in New York Where you could land into an acting career, where it helps you improve and polish your auditioning skills. Actors Connection has links to big names of casting directors and agents in New York, so if you perform well with elegance and perfection, you will definitely land yourself in a once in a lifetime acting career. 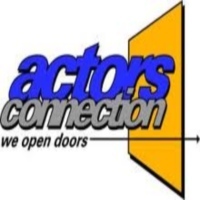 Actors Connection aims to help you become the better you, where your skill in acting is refined and polished. 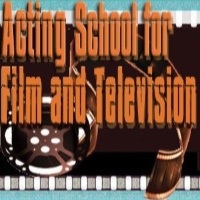 The seminars and classes are intended to help you become a great actor and help you learn new techniques. So register today at Actors Connection where you will learn the art of drama and perfect your skills in portrayal. New York Film Academy, A Place Where You Can Portray and Express! New York Film Academy is a place here in New York where you can perfect the skills of being dramatic, expressing yourself through portrayals and learn the ways of theatrical arts. You will be trained by the best and most experienced instructors in the city, where they will supervise you in polishing your skills in acting. It is never an ordinary drama class here at New York Film Academy, you will be taught of the new and enhanced techniques in acting and the principles that go along with it. So learn the craft of drama and portray a character with beauty and perfection. 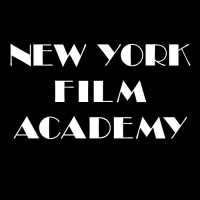 Enroll today at New York Film Academy and become who you want to be. Learn From The Best In the business of Showbiz! A place in New York where traditional and progressive acting is taught and a place where you are trained to be a great actor. 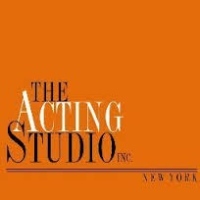 The Acting Studio Inc. is a premier drama school in New York, where they train you to perfect the skills in acting. They offer short term classes for those who want to get a taste of what acting is and a place where they can learn to express and portray. Also they offer a 2 year program for those who want a career in acting and live the life of show business. So come to The Acting Studio Inc. and learn the dramatic arts and experience for yourself what it takes to be an actor. Learn from the best and perfect your skills in acting. An Acting School For The Young And Talented! The New York Conservatory for Dramatic Arts travels from all over the country to see auditions of a great number of aspirants, but only selects a few individuals who have the potential and an innate personality of a great actor. Located in the heart of New York City, the school is dedicated to training its students to become the best of what they can become and perfect their skills in acting. So if you think that you got what it takes to be a student at The New York Conservatory for Dramatic Arts, apply today. The school holds auditions and tours from Monday to Friday through appointments. The Essentials To Be A Great Actor! Founded by Mark Stolzenberg, The New York Acting School for Film and Television is a place to learn drama and acting, where you will be taught how to act, project your voice, and work with your emotions while acting in a role. It is a place where you will be trained on how to act in front of a camera and help you with the experience in making you comfortable and do well in portraying a role. One Of New York's renowned acting schools, it is a place where every workshop and class is intended to be a great learning experience, where you will not just enjoy but become a natural in front of a rolling camera. A Drama School In New York Where Quality Acting Is Learned! 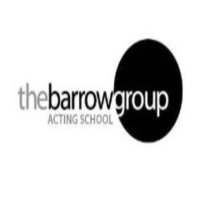 Founded in 1986, The Barrow Group is an award winning, prestigious acting school located in the heart of New York, it is a place where you will be trained to be a skilled actor and perform great acting. The school offers several programs that you can choose to specialize in such as stage combat class, solo-show performance class, Shakespeare acting class, theatrical clown class and more. A great place to learn, to express and to recreate emotions, where you can perform dramatic portrayals and acting. Here at The Barrow Group learning is a continuous and a wonderful experience. Learn The Art Of Drama and The Theatrical Arts! A place in New York rich with culture and heritage, where artists come to learn the art of portrayal, the dramatization of a role, where beauty is played and created. Here at Neighborhood Playhouse, it is where you will enjoy the different classes of acting, a place where you will learn the techniques of portraying a role. 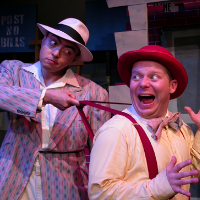 Neighborhood Playhouse is open to everyone who wants to learn the art of acting. The place is a great venue for learning and acting. A place where learning never stops. The Theatrical Arts At The Lee Strasberg Theatre & Film Institute! Acting is a powerful tool in bringing a story to life, where the emotions play a key role in making a play more persuasive. 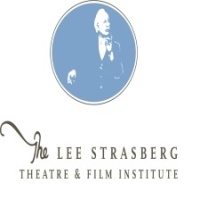 The Lee Strasberg Theatre & Film Institute is a great place for learning the art of theater. A place where drama and acting is learned and improved, also where students get to be trained to become a great artist. It is one of New York's premier theatrical schools. Whether you're an expert or still new to the theatrical arts, The Lee Strasberg Theatre & Film Institute offers to train you to become an excellent artist, ready to show your talent to the world. The New School for Drama is one of New York's prestigious schools for the theatrical arts and drama. They train students to become creative and help them explore the ways and techniques to become a great actor. With its highly skilled and experienced professors, the school takes pride in providing the best quality education in New York. The classes that the students will attend are designed to have limited number of students in order to make the learning experience personal and for the teachers to have more supervision of the students. 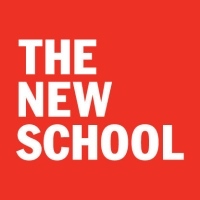 One of New York's best drama schools, where students from every part of the country come and experience the quality education that The New School for Drama has to offer. It is a place where brilliant minds come to learn and discover. 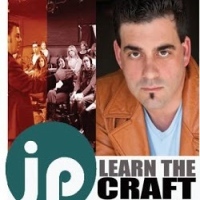 Enhance Your Craft In Acting With John Pallotta! To create a believable character, one must feel and become the human being that is the character he is portraying. Acting is a process, where you make the character real and believable. Here at John Pallotta Acting Studio headed by the man himself, John Pallotta, you will be trained in the craft in drama and acting. Also you will learn the methods of bringing the character to life, making that portrayal more interesting and real. The studio helps aspiring actors and actresses to have confidence in what they are doing and empower them to perform their best. John Pallotta Acting Studio in NY offers drama acting classes that help you improve your skills in the theatrical plays and role portrayal. So visit John Pallotta Acting Studio today and learn from the best in the business. If you happen to be looking for drama classes in NY, it is important to choose an institution that prepares students for the real acting world. The instructors at Beverly Hills Playhouse understand that establishing an acting career takes more than having the right training and for that reason, the school offers a comprehensive approach to artistic training. For over three decades, the intensive acting classes offered at this playhouse employ a unique approach that shapes a student's acting skills and attitude. Beverly Hills Playhouse also has a special focus on career administration so as to help students that are ready to be absorbed in the acting industry as soon as training is completed. Since its inception in 1968, the drama division at the Juilliard School has continued to train world class actors who have won top positions in prestigious competitions such as the Grammy Awards, Emmy Awards and more. By enrolling at this school, you will be taught how to incorporate theatrical techniques, acting intuition and spontaneity. Acting programs range from diploma and undergraduate courses to post-graduate programs. The Juilliard School is also considered to be one of the best theater institutions in NY since it offers actors and playwrights the opportunity of working together and testing their skills through rehearsal projects. A Place Where Professional Actors are Made! Learn the art of being a professional actor by enrolling at Actors Conservatory, where students are taught how to tap into their acting ability using all their five innate senses. Founded in 1987 by Elaine Aiken, this NY drama school offers training that emphasizes on sense memory techniques. With this kind of training, actors get to learn how to leverage sensory awareness so as to create a character that is real to the audience. Actors Conservatory is open to people of all levels. It offers aspiring artists the opportunity to learn how to captivate an audience while on stage. Actors Movement Studio, a method acting school founded by Lyod Williamson, teaches a unique craft of acting that seeks to establish a connection between an imaginary world and the human body. This method is better known as the Williamson technique, and it focuses on opening up an actor's strengths and creating a connection with the audience. Basically, the training offered at this theater institute attempts to harmonize emotions with physical movement so as to achieve a complete transformation which allows an actor to deliver a great performance. So for some of the most comprehensive drama lessons in NY, make sure to enroll at Actors Movement Studio. Since its establishment in 1990, the Actors Workshop Theater has been training aspiring actors from all walks of life. The institution is headed by award winning actor, director and writer Thurman E. Scott. It is also part of the Scott Acting Conservatory which offers professional drama classes in NY. The training offered here puts a special emphasis on character development through creative imagination and originality. The workshop also provides educational programs for both for experienced theater artists and novice actors. Sign up for the master class acting training program and increase your skill and knowledge in acting, script analysis and other theatrical techniques. The American Globe Theatre is a NY drama school that teaches classical theater techniques since 1989. Acting lessons are taught by the founder himself, John Basil, an accomplished producer, director and theater instructor. One of the unique aspects about this theater institution is the fact that concepts taught during acting sessions draw inspiration from Shakespeare's works. As a result, actors that sign up for classes and workshops at the American Globe Theatre get to enjoy a unique learning experience that is totally different from what you would expect to find in the normal scholarly curriculum. This is a place where you can find unique drama classes in NY which allow you to explore your artistic potential and learn something new. Founded by Davina Dummer and Michael Luggio, the Malisa Theatre Academy boasts of offering the best drama classes in New York. Those that have the privilege of being selected to train here get the opportunity to enhance their skills while engaging in films, staged plays, monologues and improvised work. 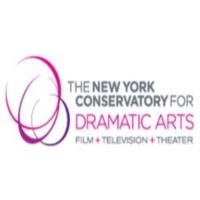 However, one thing that sets the Malisa Theater Academy one step ahead of other drama schools in NY is the personalized coaching offered at this institution. Actors are taught how to master auditioning techniques and interview approaches on an individual basis. Admissions at the academy are conducted through auditions so as to select serious individuals that are prepared to learn and perfect their craft. The American Musical and Dramatic Academy (AMDA) is one of the respected institutions offering professional drama classes in NY. Since 1964, the academy has been welcoming budding and talented individuals seeking to establish professional careers in performance arts. This institution believes in laying a solid foundation for actors, and that is why it offers an intensive, four year undergraduate training program in acting. There is also a two year conservatory training program in acting and studio for those in search of short term courses. Additionally, the premier faculty of accomplished educators, actors and directors at AMDA provide unrivaled guidance to students.